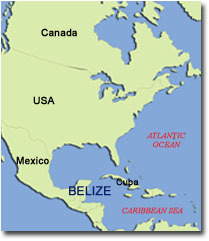 Belize (formerly known as British Honduras until the name of the country was changed in 1973) is a beautiful and independent country located on the eastern or Caribbean coast of Central America, bounded on the north and part of the west by Mexico, and on the south and the remainder of the west by Guatemala. The inner coast is sheltered by a line of coral reefs, dotted with islets called 'cayes', extending almost the entire length of the country. The total population of Belize is around 300,000, with 60,000 live in Belize City. The official and spoken language is English. Spanish is also common and is taught in primary and secondary schools in order to further develop bi-lingualism. The official currency is Belizean Dollar (BZD). The legal system is based on the English Common Law. The chief justice of the Supreme Court is appointed by the governor general on the advice of the prime minister. The principal corporate legislations are International Business Companies Act, 2000, and Limited Life Companies Act, 1999. Standard Authorised Capital is 50,000 shares at US$1 each. Minimum of 1 shareholder, either natural person or legal entity can be a shareholder, any nationality except Belizean residents. Minimum of 1 director, either natural person or legal entity can be a director, any nationality. There are no requirements for annual meetings or audited accounts. COMPANYSEC.COM LTD does not guarantee the accuracy or reliability and accepts no liability for any loss or damage arising from inaccuracies or omissions on this site. Copyright c 2000-2014. All rights reserved.